The success of a business depends on the relationship between the employees and the management. The main reason for team building is to build trust and instill confidence in employees. Through team building activities employees feel free to interact with their employers and in doing so gain a sense of belonging within the organization. Team building boosts staff morale thereby increasing motivation. 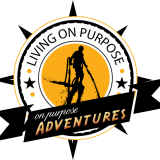 On Purpose Adventures has perfected the art of this delicate activity. Our programs are intense and all inclusive. They enable employees and their managers or supervisors to build a mutual trust. Why would an organization host such an event? People gain an increased sense of satisfaction with their job when they feel like their input is welcome and respected. By creating an atmosphere where junior members of staff can let their guard down and communicate freely with superiors, as peers rather than employee/employer, team building instills a sense of empowerment that carries over into the workplace. Open communication in the office is invaluable. Team building activities build a robust and effective bond amongst coworkers who may at times blame each other whenever a problem arises in a shared business project. The relationship between workers helps in increasing collaboration of workers during daily activities of business. The desire for cooperation is essential in building an effective team. In the workplace, competition is a good way to propel individuals to higher productivity and discourage complacency. Team building will make the game healthy and make a below average person work hard to achieve and exceed expectations. People come in all shapes and sizes, and so do their personalities and cultures. Small incompatibilities between them can escalate if not handled in the right way. This can result in detrimental reactions to the tension such as absenteeism or the dreaded workplace drama. Team building activities help employees relate to each other over the things they have in common rather than their differences and helps them to appreciate the positive aspects of each other while respecting their differences. Some more reserved personalities may not at first have the confidence to step up and lead when they are surrounded by more “alpha” type personalities. Through team building activities the employees are grouped together in various ways which allow each person an opportunity to develop their own leadership skills. Having a group out together will instantly make them want to know each other better. The games organized ensure that the teams are talking to each other and fostering mutual appreciation. Team building creates a friendlier and healthier working environment which is beneficial to the employees and the company.